Our unique pet containment system can be setup to be used indoors too! Are you tired of coming home after work and finding that your dog has shed all over the coach, gotten into the litter box, or got into your bedroom closet and chewed up your shoes? Put an end to it now! 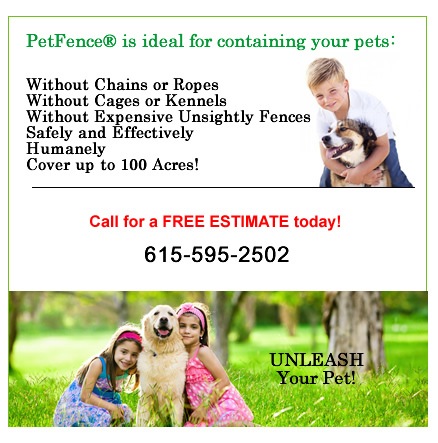 Get peace of today, and call now- 615-595-2502 to setup your indoor pet fence now.